Hewlett-Packard has recently added voice control to their web-connected printers. 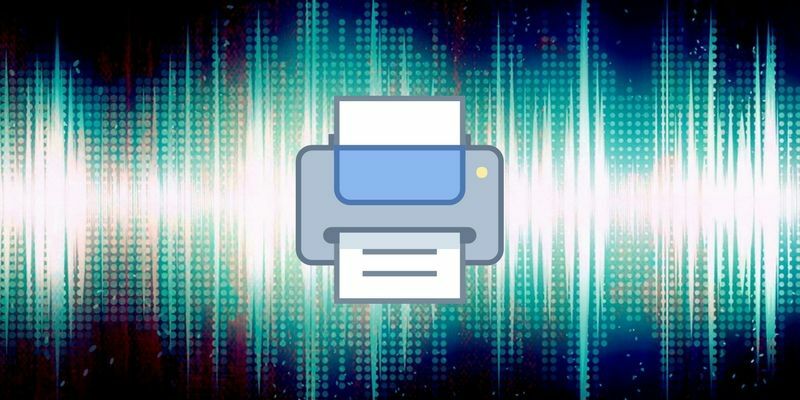 Consumers using Alexa, Cortana, or Google Home can now print common forms and papers without opening a computer. There are somewhat limited options at the moment, but when you find yourself needing a preformatted document, this skill may make it easier. 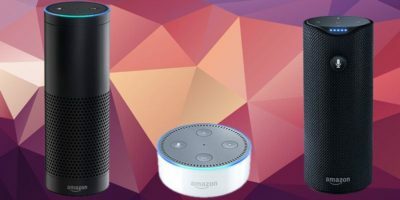 One way to print using voice commands is through Amazon’s Alexa. 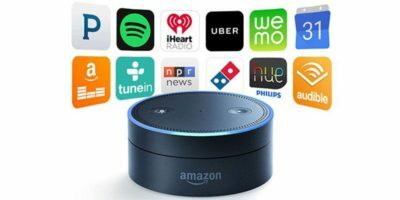 To do this, you need an Alexa-supported device, (Echo, Echo Dot, Echo Show, Echo Spot, etc.) and an HP web-connected printer. You also need your smartphone (either Android or iOS), Fire Tablet, or computer to set up the connection. 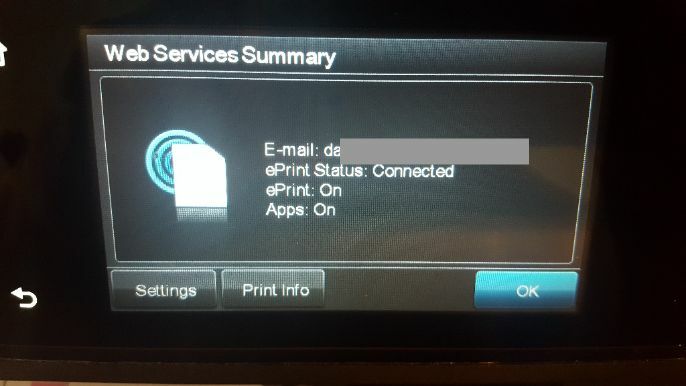 Your printer must be running eprint and web services and be connected to your network by WiFi or ethernet connection. Printers connected to a computer using USB will not work. The app makes this connection through a secure, cloud-based service and allows the use of only one network printer for from a single local network. First, get the printer’s email address. If you don’t know the address, these steps should help you find it. 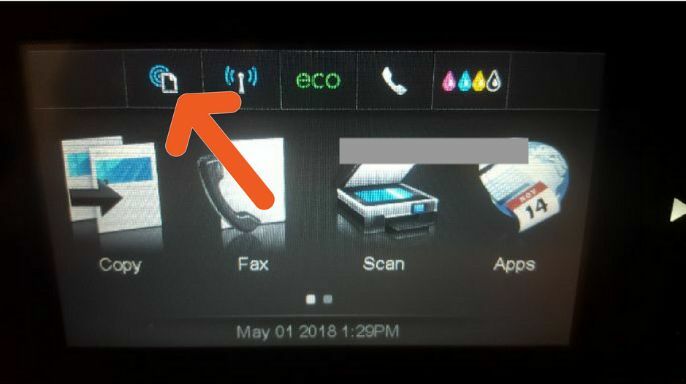 Touch the eprint or network setup button on your computer. Some computers may require you to go through this series of menus: Setup -> Settings -> Wireless settings. If the email address does not display, check to see if Web Services is running. If it is not on, follow the directions to enable it and check for any updates. An information sheet will automatically print that will explain how to find the email address. If Web Services is enabled, then touch “Print” or “Print Info” to get the address of the printer. If you cannot find the email address or if a sheet does not automatically print when it should, you may need to turn off Web Services and then re-enable it. 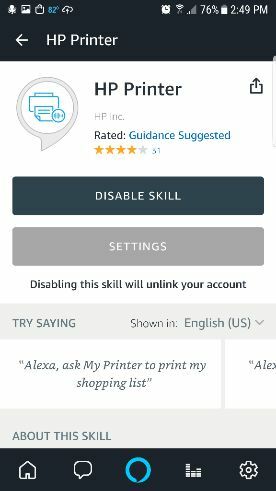 Once you have the email for your printer, you need to enable the HP Printer skill for Alexa. If you don’t have it already, download the Alexa app to your phone or Fire Tablet. Open the app. 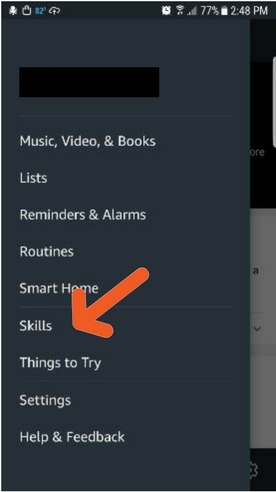 Tap the menu icon to find Alexa’s skill options. 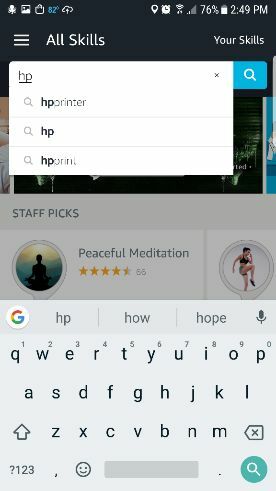 Search for HP and tap the result for HP Printer. Go to Amazon.com. 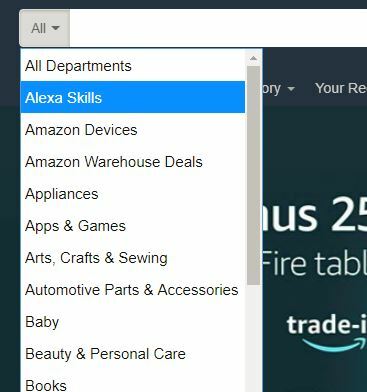 Click on the search bar dropdown and choose Alexa Skills. Search HP and select HP Printer. Type your printer email and then click the submit button. For a full list of current commands, go to the Alexa HP Printer Skill page on Amazon. What can take advantage of Alexa Print? Some of the items Alexa can print are shopping and to-do lists, coloring pages, comics, and calendars, as well as crosswords, Sudoku, and word search puzzles. Even though we use our devices for many of our everyday tasks, printing is not obsolete yet. You may keep your lists on your smartphone, but Alexa adds to existing functionality by allowing you to add things to the list by voice command. Then you can print them later to cross off items as they are completed or purchased. Yes, coloring books are cheap, but if a bored child wants something to do, there’s something to be said for the novelty of letting them print a sheet for themselves and being surprised at what comes out. Having this capability may not be something you use every day, but it is nice to have the option when you need it. Which HP printer did you use? 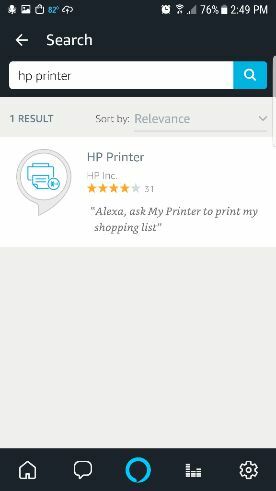 I know several HP printers work with setting up Alexa, just curious which HP printers are the easiest. I used an HP Officejet 8600. It’s several years old, but it was still easy to set up.